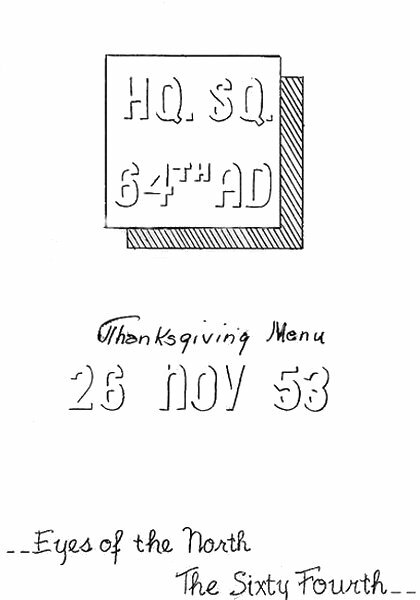 Front page of the 64th Air Division Thanksgiving Day menu - 26 November 1953. 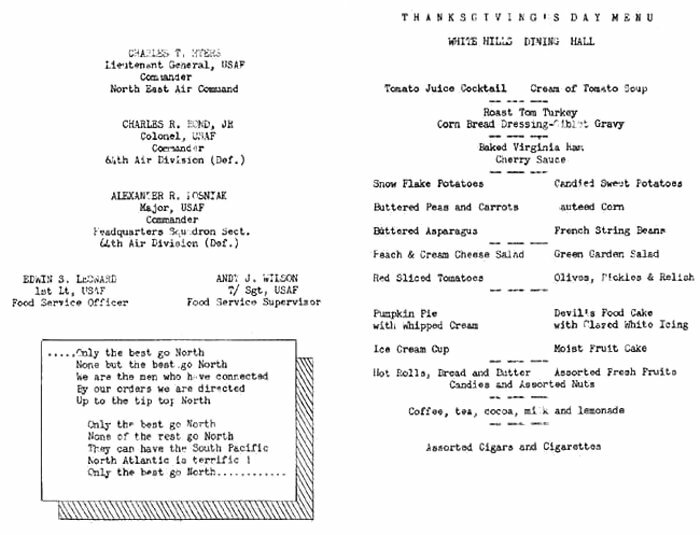 Interior of the 64th Air Division Thanksgiving Day menu - 26 November 1953. 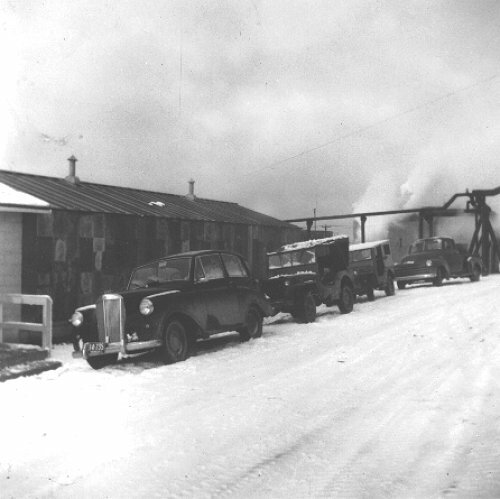 64th Air Division HQ Squadron Supply with my 1953 Triumph Mayflower sitting in front - November 1953. 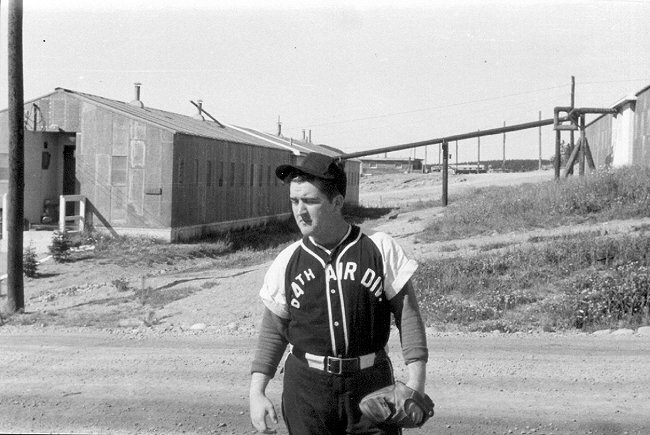 Unknown Air Policeman from the 64th Air Division baseball team - August 1953.